A former North Carolina A&T offensive lineman helped keep a would-be school shooter from accomplishing his goal. School shootings have been in the headlines way too much lately, and there might have been another if not for a former HBCU football player. Patrick Jordan is part of a group of staff that intervened in a possible shooting at Greensboro (NC) Smith High School on Monday. Police say a man showed up with two guns and a kill list that included two adults connected with the school. Jordan is a behavior intervention specialist and North Carolina A&T alumnus who played football in the early 2000s. The suspect, Steve Brantley Spence, showed Jordan the guns and ordered him to call the two would-be-victims to the cafeteria during lunch. “This entire time I was taking steps backward, like baby steps backward, trying to create as much distance between he and myself, without again agitating him,” he said. Jordan kept the suspect at bay until assistant principal Lashonti Hines arrived to help. 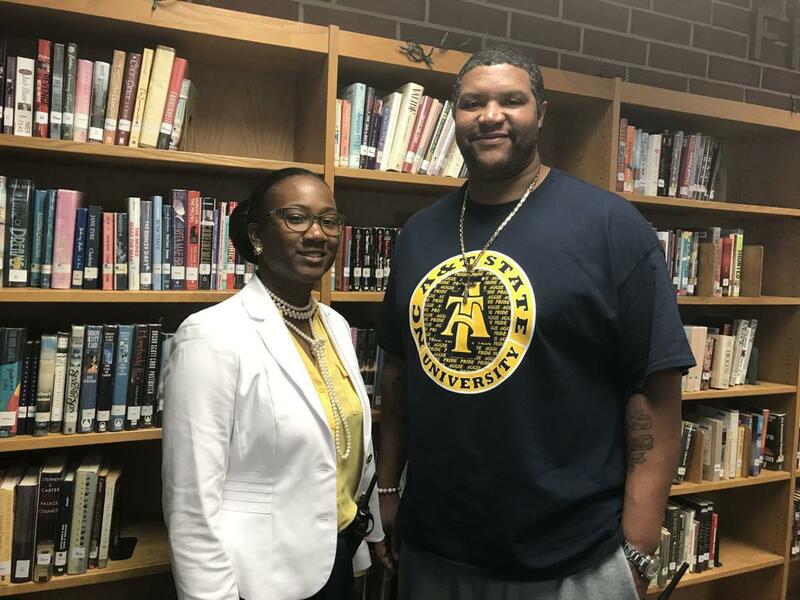 Eventually the school resource officer disarmed Spence who is currently under $1 million bond in Guilford Co.
Jordan played offensive line at A&T, helping the program win the 2003 MEAC title. As great as that accomplishment is, what he did on Monday is more hall of fame worthy than any defensive lineman he put on the ground.